Karl Lagerfeld continues mix up his areas of design, with the latest collection being a collaboration with St. Dupount on some very classy pens. 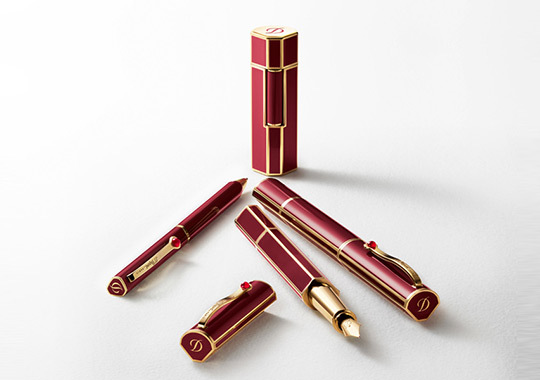 Made in two variations; “Prestige” in red lacquer or “Chic” in black with palladium attributes, Lagerfeld brings back the always-classy fountain pen. Available now through select Lagerfeld & St. Dupont stockists. This entry was posted in Accessories and tagged Karl Lagerfeld, Lagerfeld St. Bookmark the permalink.